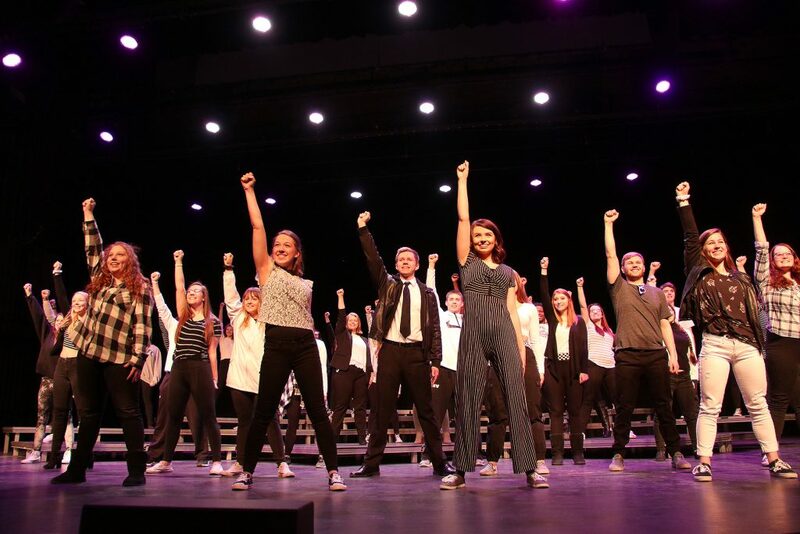 “Come Alive” with NIACC’s annual spring vocal music spectacular Quodlibet! Titled after the song of the same name Quodlibet, “Come Alive” features music of resiliency in the face of adversity with songs of hope and inspiration. A dedication to North Iowa’s Piano Man, Gary Gjerstad, this year’s production will uplift and energize the audience with its message of optimism, promise, and hope. The 44th annual Quodlibet variety show presented by North Iowa Area Community College (NIACC) will take place on Thursday, April 11; Friday, April 12 at 7:30 p.m. and Sunday, April 14 at 2:00 p.m. in the North Iowa Community Auditorium on the NIACC campus. Tickets are $10 for adults and $7 for students. Tickets are available at the two Mason City Hy-Vee locations, at the door, or by calling the NIACC Box Office (641-422-4188) or toll-free (1-888-466-4222, ext. 4188).